Removal of the electrical box at the split. For more detailed information and a schedule of work to be performed, please feel free to contact us. Posted in Uncategorized | 0 Responses to "Deer Valley Resorts Entry Corridor  Phase II"
Vail Resorts Inc. on Thursday announced a season-pass partnership with the largest ski area in the world, Les 3 Vallées, home to the legendary mountain resorts of Courchevel, La Tania, Méribel, Brides-les-Bains, Les Menuires, Saint Martin de Belleville, Val Thorens and Orelle, France. The Epic Season Pass now features five free days of skiing and riding in Les 3 Vallées, bringing the total access to 26 mountains in four countries. Epic Pass holders have the opportunity to experience Europe and the homeland, with access to Verbier, Switzerland, Arlberg, Austria, and now Les 3 Vallées, France, in addition to Vail, Beaver Creek, Breckenridge, Keystone, Arapahoe Basin and Eldora in Colorado; Heavenly, Northstar and Kirkwood in Lake Tahoe, California; and new for the 2013-2014 season, Canyons Resort located near Deer Valley Resort in Park City, Utah. Les 3 Vallées area lies in the heart of the French Alps and is legendary among skiers and riders around the globe, revered for its elegant charm and baroque art and architecture, boasting nine ski-in/ski-out Michelin-star restaurants and exceptional ski-in/ski-out lodging, all while maintaining its alpine character and family friendly appeal. The resort is often voted the best location in Europe for early season snow. The unrestricted five free days of skiing and riding will be reciprocated for Les 3 Vallées season pass holders, allowing even more European guests to experience Vail Resorts ski areas. Boasting eight different resorts, 600 kilometers of interconnected trails, 180 ski lifts, and approximately five meters (16.6 feet) of annual snowfall, Les 3 Vallées is the largest interconnected ski area in the world, including the highest resort in Europe, Val Thorens. Les 3 Vallées ski area will be open from Dec. 7 through Apr. 25. "We are thrilled to announce our partnership with Les 3 Vallées, as Epic Pass holders can now ski the best resorts in the world, in four countries, on one pass. Vail Resorts is constantly looking for opportunities to enhance the incredible value of the Epic Pass that our guests already receive and enjoy. In March, we announced that we increased the number of free days of access to Verbier, Switzerland, from three to five for the 2013-2014 season, followed shortly thereafter with news of an additional five days access to Arlberg, Austria, and most recently our acquisition of Vail Resorts first Utah mountain resort, Canyons, located in Park City, Utah said Kirsten Lynch, executive vice president and chief marketing officer of Vail Resorts. Skiers and riders receive the lowest guaranteed prices on next season by purchasing their passes in early September. An Epic Pass is $689. 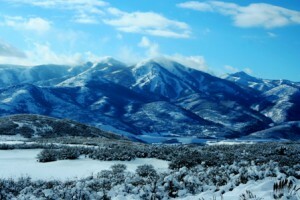 Posted in Uncategorized | 0 Responses to "Vail adds five days at Les 3 Vallées in France to Epic Pass"
Deer Valley Resort has engaged SE Group  one of the worlds most experienced and respected mountain resort planning firms  to work with Wasatch County on a substantial ski resort expansion. This Mayflower expansion will encompass approximately 1,000 acres of terrain and is situated south of the existing Mayflower Lift, with immediate access to the entire Dutch Ridge region. The master plan provides for a new base village, improved lift alignment and a dramatic increase in skiable acreage, all accessed by several new lifts. Once completed, Deer Valley will not only offer a true top to bottom skiing experience, but also significantly expand its existing offering with an excellent mix of north-facing trails to accommodate skiers of all abilities. 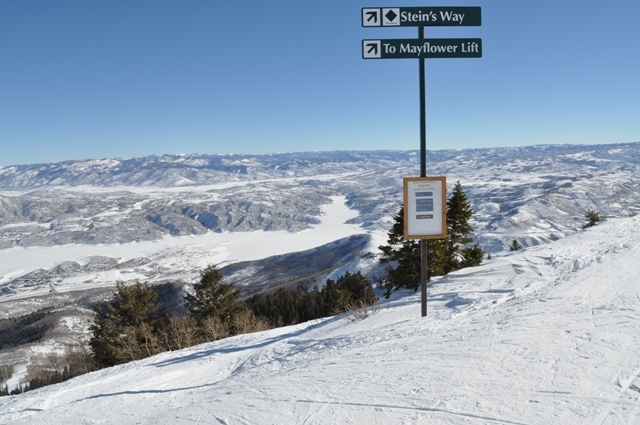 Deer Valley hopes to submit the master plan by this fall. We'll keep you updated as the process continues. Posted in Uncategorized | 0 Responses to "Update on Deer Valley Resort Expansion"
This past weekend, our family had the pleasure of attending the Deer Valley Music Festivals opening night at the beautiful Snow Park Amphitheater. The Utah Symphony launched the festivals 10th anniversary season with a patriotic celebration that included Tchaikovskys 1812 Overture. As usual, the performance was excellent, and the concert was extremely well attended, despite the unusually warm weather (although, once the sun went down, the evening was quite pleasant). The concert began with The Star-Spangled Banner, which is traditional for the patriotic concert, and was followed by the overture to Leonard Bernsteins West Side Story. The Utah Symphony then paid its respect to the Armed Forces by performing the themes for the Air Force, the Army, the Marines, the Navy and the Coast Guard. During this segment, present and former members of the military were honored by being called to stand up. The Utah Symphony also performed familiar selections by John Philip Sousa, George Cohan, and Leroy Anderson. The ever-popular 1812 Overture concluded the evening, and adhering to past traditions, the piece was highlighted by the thunder of cannons provided by the Cannoneers of the Wasatch. The concert was originally supposed to be led by Utah Symphony Associate Conductor Vladimir Kulenovic. However, while on vacation, Kulenovic was injured in an accident, and will not be able to conduct until later this month. Fortunately, guest conductor Thomas Hong was able to fill in quite masterfully. Hong, the newly appointed music director of the Mansfield Symphony Orchestra in Ohio, is a full-time faculty member of Rice Universitys Shepherd School of Music in Houston. With such a fantastic beginning, were looking forward to a great summer music season at Deer Valley Resort. 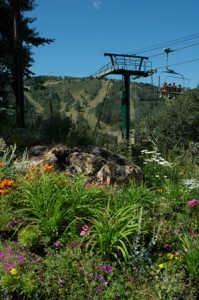 On a side note, Deer Valley was listed among the countrys Eight Amazing Outdoor Music Venues by CNN Travel. To read the article, please click here. Posted in Uncategorized | 0 Responses to "Opening Weekend Of The 2013 Deer Valley Music Festival"
Talisker is no longer in charge of development at Canyons Resort. Summit County Manager Bob Jasper told councilmembers on Wednesday that an interim manager has taken over for Talisker Canyons Finance LLC, the company formed when Talisker purchased Canyons from American Skiing Company Utah in 2007. Jasper said the county's biggest concern revolves around the outstanding obligations that Talisker agreed to in exchange for development rights at Canyons. Those obligations include a golf course, convention center, a transit plan and affordable housing, he said. At this stage we don't have a developer, we have an interim manager, Jasper said, adding he would remain firm in enforcing those requirements. Jasper admitted the financial restructuring at this point is unclear. He said Alvarez & Marsal was brought in by one of the investors involved with Talisker Canyons Finance LLC. Jasper also said another entity had been formed last month as part of Vail's agreement to take over management of the Canyons. In that agreement Vail obtained a 50-year lease to manage the resort but Talisker retained development rights. The council members' responses were mixed but council member Chris Robinson advised against overreacting. Well keep you posted as more updates occur. Posted in Uncategorized | 0 Responses to "Talisker Relinquishes Controlling Interest At Canyons Resort"
This morning, Bob Wheaton, President and General Manager of Deer Valley Resort, announced that Deer Valley has made official application to Wasatch County for purposes of expanding the resort into the Mayflower area of Deer Valley. While the idea of this type of expansion has floated around town for over the past twenty years, it was always stymied due to lack of cooperation of the various partners involved in the project. Those roadblocks now appear to have been removed. The very preliminary concept would be to install three to four new lifts to the south of the existing Mayflower Lift, with access to the entire ridge (known as Dutch Ridge) south of Deer Valleys existing terrain. This would provide for some excellent skiing for all skill levels with north facing aspects. Residential development in the form of condominiums and home sites are also included in the proposal. In addition, this new lift system would provide access directly to the top of Bald Mountain from this area, eliminating the need to ski through Snow Park as is currently the case. Please give us a call if you would like further information. We will continue to update our clients of the proposal as it moves through the approval process. Posted in Uncategorized | 0 Responses to "Deer Valley Resort Announces Major Expansion"
We just enjoyed a wonderful hike at Deer Valley Resort, which officially opened today for the summer season. 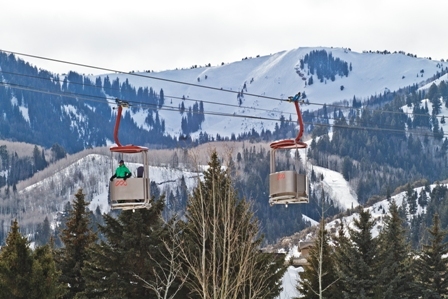 As in past seasons, Deer Valley is operating three chairlifts, serving hikers and bikers at Snow Park, Silver Lake and Empire Pass. According to communications manager, Emily Summers, Deer Valley has 60 miles of maintained trails. Some of these trails are designated as hiking only, but most have dual uses. Deer Valley operates a full-service bike school throughout the summer. Additionally, Deer Valley offers other ways to get acquainted with the mountain. The historical society conducts free guided hikes the second Sunday of every month through October, and one can also hire a mountain guide any day of the week. In the evenings at Deer Valley, the music begins. The resort will be offering free Wednesday night concerts featuring local bands. Weekends will be showcasing musical acts from all across the country. Please click here for more information. Deer Valleys summer operations will run until Labor Day, September 2. Posted in Uncategorized | 0 Responses to "Deer Valley Summer Season Opened Today"
June 29: Deer Valley Music Festival presents ~ 1812 Overture! For more information about the Snow Park Outdoor Amphitheater and concerts, please visit the Deer Valley Resort website. 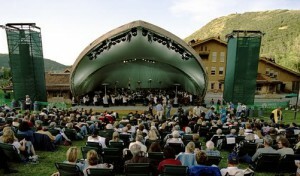 Posted in Uncategorized | 0 Responses to "Deer Valley Resorts 2013 Summer Concert Lineup"